There’s a huge difference in how much Trump and Clinton voters are putting their money to work post-election. 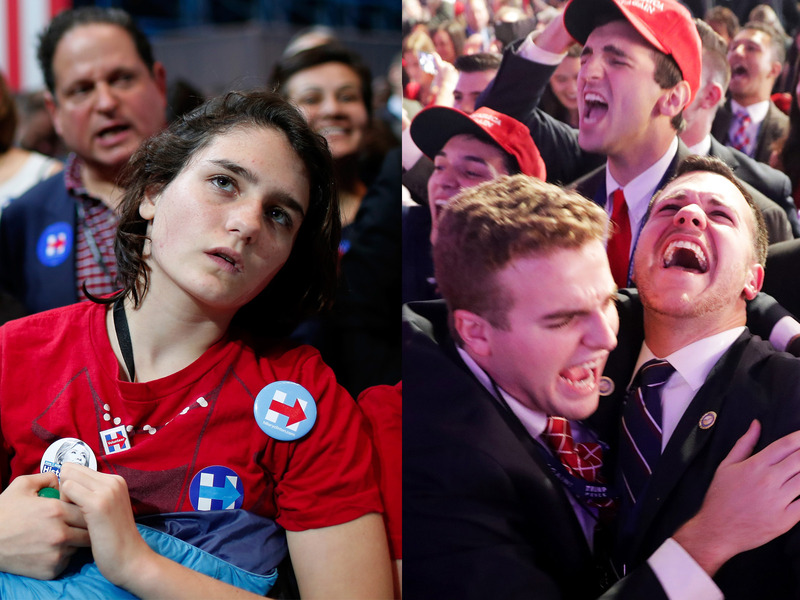 We’ve noted before that consumer confidence has become highly politicized, with Republicans extremely optimistic about the future of the economy and Democrats’ confidence dropping off a cliff. It appears that has also translated into their actual spending, according to a note from Nik Modi at RBC Capital Markets. Based on data from InfoScout, Trump voters have increased their share of spending on fast-moving consumer goods like soft drinks, aspirin, and toilet paper. 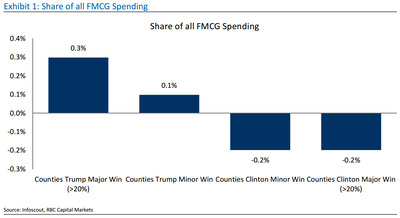 “The data suggested that Counties primarily inhabited by Trump supporters are seeing a greater share of total spending (+0.4 percentage points), which compares to -0.4 [percentage points] for counties who primarily voted for Clinton,” Modi said in a note to clients. While the difference isn’t large, according to Modi it could be significant. Interestingly, Friday’s personal spending and income release showed that real personal spending, an inflation adjusted measure of consumption, decreased in the month of February by 0.1%. So while the sentiment surveys may be soaring, it hasn’t shown up in the actual data just yet.